How do I know if I am graduating? Payment of the Graduation fee of ten thousand dollars ($10,000) will entitle the graduand to be issued with one gown (incld. Hood where required) and with one stole to be uplifted from the Campus store. Please note that this is a rental and these gowns must be returned by the deadlines stated in the Graduation advisory letters. Gowns will be available from October 30, 2018 for the Turkeyen Campus and November 5, 2018 for the Berbice campus. 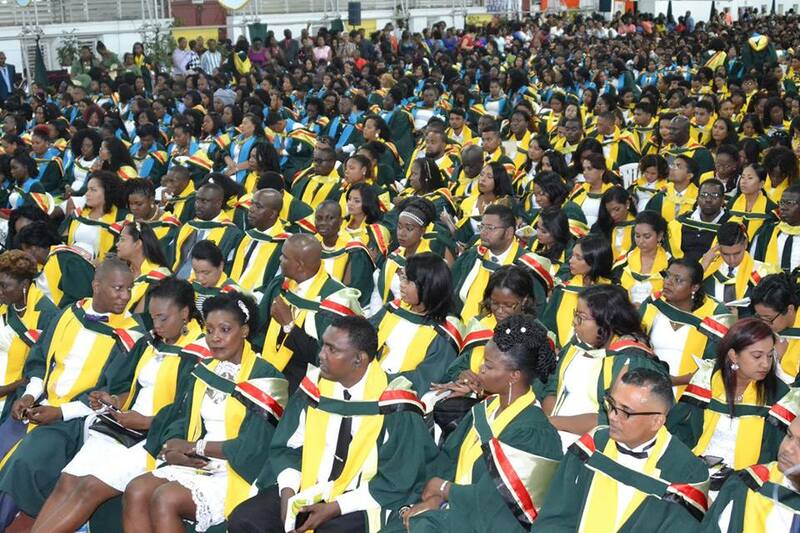 The graduation fee covers the provision of academic regalia to graduands; rental of chairs and public address system, venues and other associated costs for the ceremony; the Chancellor’s reception for graduands; the provision of diplomas with specially crafted covers; and the publication of graduation programmes and convocation booklets, among other costs. ‹ What do I wear?